As the world looks back on Muhammad Ali's life, it's reminded of all the things "The Greatest" was known for outside the ring. And there's one instance in particular few will forget. In 1981, Ali talked a suicidal man off a ledge, calling him his brother. As CBS reported, the man had reportedly been on the ledge for several hours, shouting that "he was no good" and that the Viet Cong were coming for him. A police spokesman said at the time: "Ali did it all. ... He went up there and he talked to the guy until he came down. 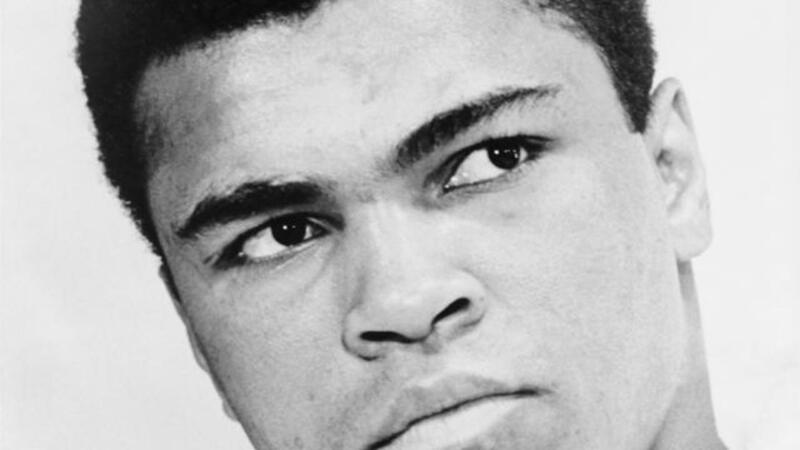 A police psychologist and a chaplain had tried — but Ali got it done." Inside and outside of the ring Ali was larger than life. He was the centerpiece for some of the most memorable matches in boxing history. But it was outside of fighting where Ali drew criticism for his social activism. The day after Ali's fight against Sonny Liston, he announced he had converted to Islam. Back then, he was known by his birth name, Cassius Clay. "Clay was a white man's name, was a slave name, and I'm no longer Clay, no longer [a slave]. I'm now Muhammad Ali," Ali told an NBC reporter. And while those moves themselves weren't necessarily popular, Ali caused even more of an uproar when he refused to fight in the Vietnam War, declaring himself a conscientious objector. Ali was arrested, had his title stripped and was unable to box professionally for three years. Keep in mind, the Vietnam War was relatively popular when Ali made his stand. In many ways, Ali was vilified and even African-American athletes disagreed with his stance. Eventually, the Supreme Court ruled in Ali's favor, took away the threat of jail time and allowed him to box again. Some, like former Attorney General Eric Holder, have said that court decision was a bigger victory than any of his boxing matches. But beyond any social justice or fights in the ring, Ali's greatest strength may have been his ability to connect with people — both one-on-one and across the globe. Today my heart goes out to a pioneer, a true legend, and a hero by all means! Not a day went by entering the gym that I didn't think of you. Your charisma, your charm and above all, your class are all of the elements that will be greatly missed by myself and the world. You are someone that inspired me greatly throughout my boxing journey and words cannot express how great you were as a person! Thank you for everything you've done for Black America, in the the world of sports & entertainment and for the legacy you leave behind! My sincerest condolences to the Ali family! I had the honor of knowing #Muhammad Ali. He was simply The greatest inspiration to the whole world. Sad sad day. The original GOAT is gone. I will never forget his vast legacy and the time he showed me a magic trick. #MuhammadAli Forever!! #RIPMuhammadAli - one of the most powerful, courageous, passionate souls to walk this earth.